The Dream Surf Charter navigates to the Banyak Islands in Sumatra, Indonesia, a real waves paradise. The boat is located at the Sibolga Harbour in West-Sumatra and will start the trip from there. Overnight you will sail to the Banyak Islands to surf a dozen remote waves. Some waves are still a secret. As there are only 3 surf charter boats sailing these waters, it’s sure you will get to surf without the crowds of Mentawais. Besides surfing, you will experience great fishing, amazing tropical nature and a fantastic adventure trip. 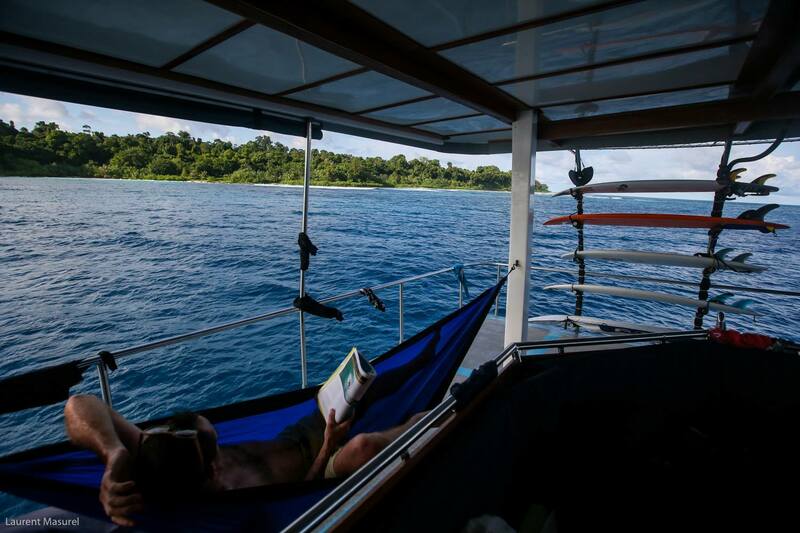 The Dream Surf Charter navigates to the Banyak Islands in Sumatra, Indonesia, a real waves paradise. 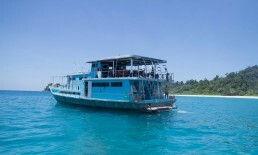 As there are only 3 surf charter boats sailing these waters, we will get you to surf without the crowds of Mentawais. Besides surfing, you will experience great fishing, amazing tropical nature and a fantastic adventure trip. Individual bookings are possible and we take groups up to 12 surfers max. 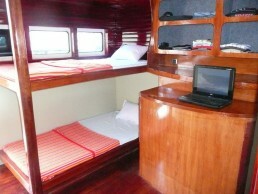 The Dream Surf Charter is located at the Sibolga Harbour in West-Sumatra and will start the trip from there. Overnight you will sail to the Banyak Islands to surf a dozen remote waves. Some waves are still a secret, other known spots are Treasure, Cobra, Bay of Plenty, Lizards and Pulau Babi, which is a swell magnet when it’s flatter. 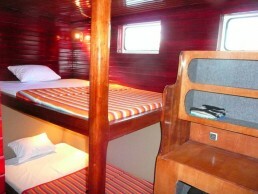 The boat offers 5 separate large double rooms with large beds (1.4m) and a special cabin with a king size bed for couples. Another room is equipped for 4 guests, giving the boat a capacity of maximum 12 people in addition to the crew and guide. Pierre, the surf guide, has always been on the boat and knows the Banyak Islands as his pocket. 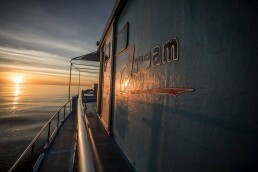 The Dream Surf Charter is considered full with 10 people, but we can take up to 12. 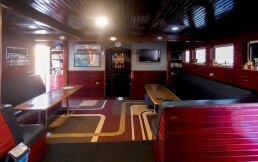 All cabins and the comfortable living room are fully air-conditioned. There are 2 bathrooms and a large 45 m2 terrace to check the waves and admire the amazing sunsets. The Banyak Islands are a group of about 71 inhabited islands off the western coast of Sumatra. The largest island is Tuangku with Haloban as the principal town. On request, we can organise trips to the Telo Islands. Here you can find a variety of fun waves with a good range of power for intermediate to advanced surfers. Usually, there is a good opportunity for barrels in these clear waters with numerous lefts and rights reefs and long wrapping points. Your The Dream Surf Charter trip is all-included with unlimited surfing, 3-daily meals, snacks, beers and a T-shirt or cap. 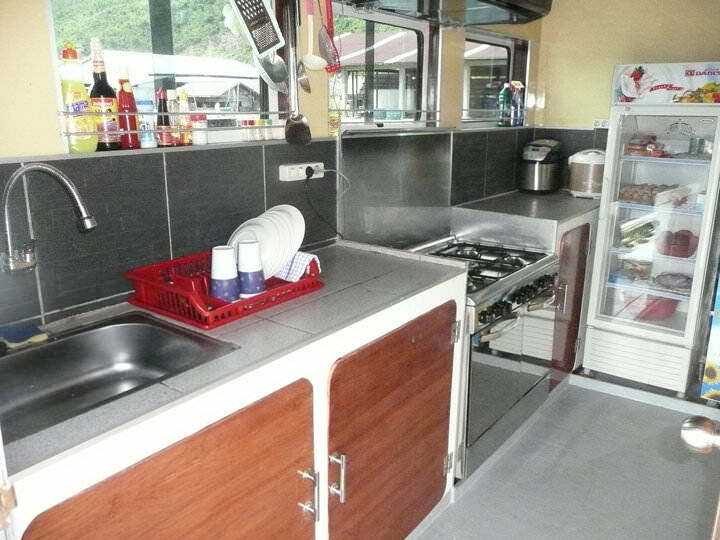 Meals are Indonesian with French influence and varied from burger and pizza to salads, fish, beef, chicken fajitas, fresh fruits and more… Spirits can be purchased on board, or bring your own. 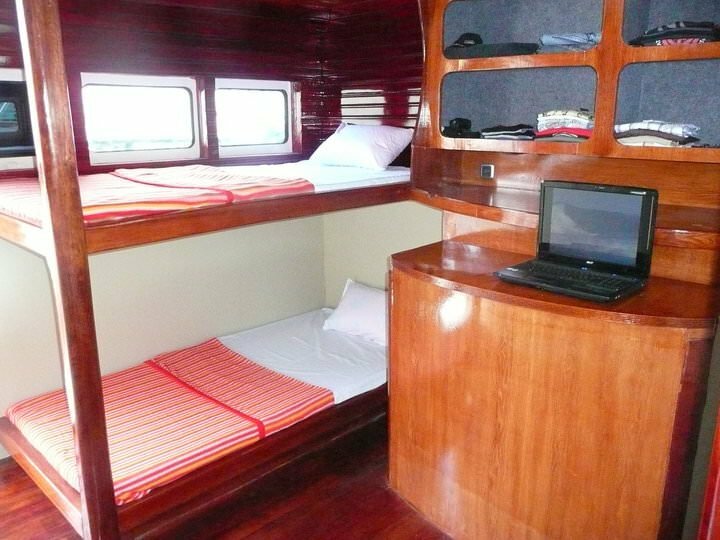 Not included is your domestic return flight to the boat in Sibolga ( US$ 100 ) with surfboard transport at $AUD 20 per board each way. For your domestic flight, you have to arrive the day before. If your trip leaves on the 10th for example, you must arrive on the 9th in Medan ( via Kuala Lumpur or Singapore), ideally in the evening. The boards will be picked up on your arrival and routed over land to Sibolga by car. On the way back, make sure you leave after 8 pm, as the surfboards will be brought back overland from the boat to Medan again. You will have to take an internal flight from Medan (KNO) to Sibolga (FLZ). 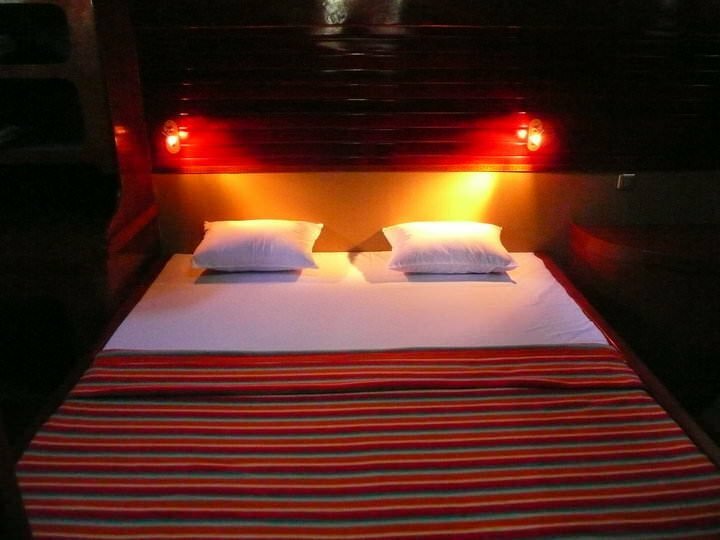 Trip dates are usually from Monday to Friday, so you can travel on the weekend. The schedule is fixed but flexible with 1-2 days. The Dream Surf Charter owners offer an optional package to make your arrival and departure easier and relax. They can pick you up at the international airport and bring you to the Marriott Hotel. The next morning you will be brought to the airport for your flight to Sibolga with your flight ticket in your pocket. All is included, except the dinner and drinks at the hotel. The same for your departure back home. 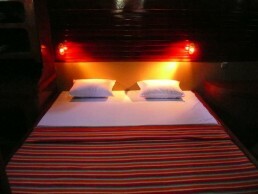 This package with hotel, breakfast, taxi and return flights with boards is available for 300 US$.